Our newest addition from the Robbie Adrian collection. 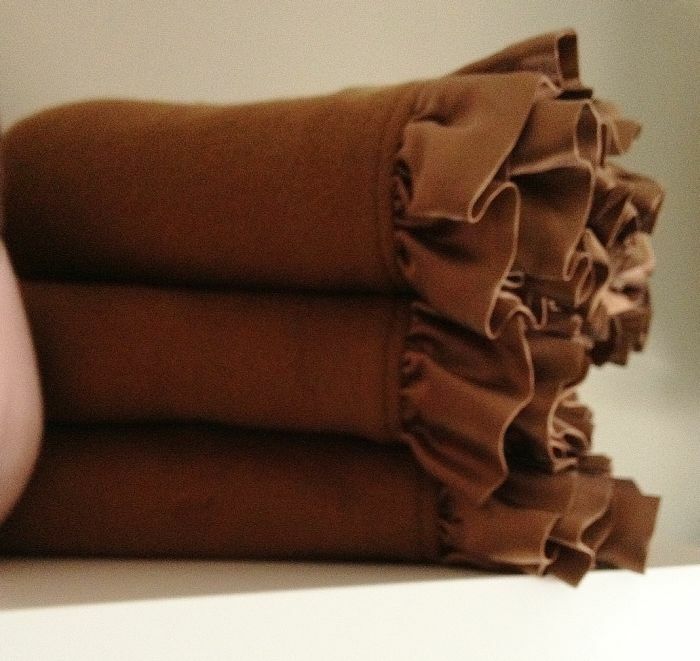 Chocolate with a Chocolate ruffle in the softest organic cotton fleece available. 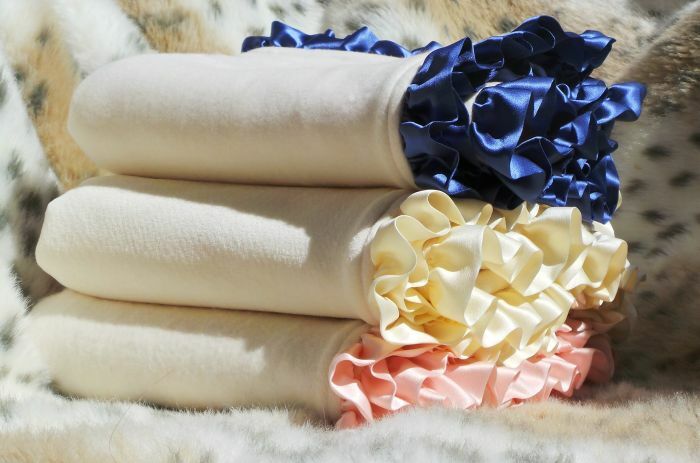 Robbie Adrian luxury organic baby blankets are made from super soft 100% certified organic cotton fleece or velour on both sides and are edged with a natural silk charmeuse ruffle. The US yarn is spun and then knitted on the east coast. The cotton used is certified back to the bale of cotton. 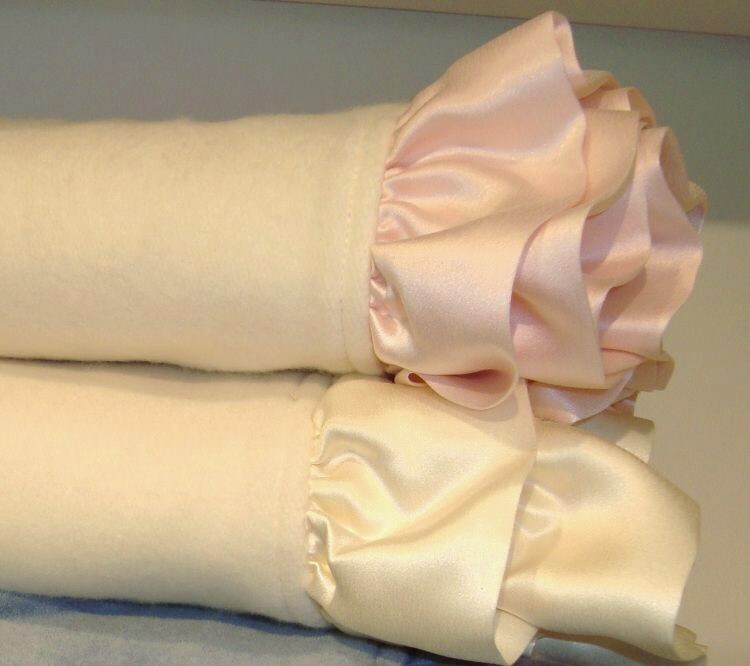 All Robbie Adrian organic baby blankets are machine washable on gentle cycle and dryable on low heat, for best wear. 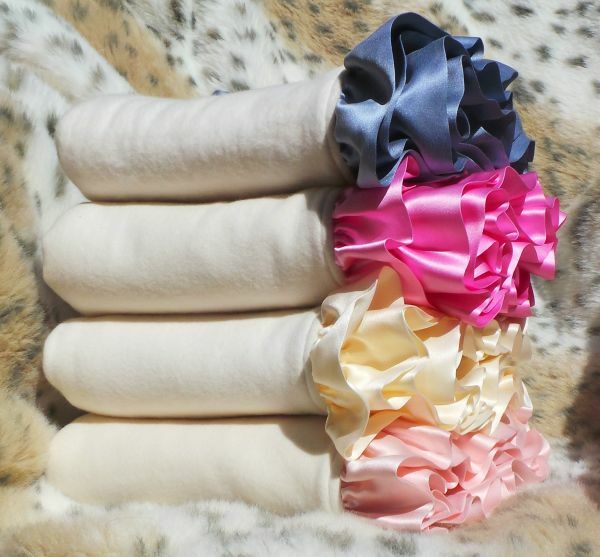 Just add a large initial, 3-letter monogram, baby's name and/or birth information for a one of a kind gift!! !